But first I need a little disclaimer. The majority of uni lunches/dinners in my freshers year consisted of potato waffles, cereal or toasties. These dinners were definitely not the norm, but since feeling so groggy and blobby (yes, that is a legitimate description for a feeling) along with having a hob/oven between 4 people instead of 10, I've begun to make a bit more of an effort to eat more healthily and look after myself. That and some stern words from several family members to start eating like a normal person. Hehe. 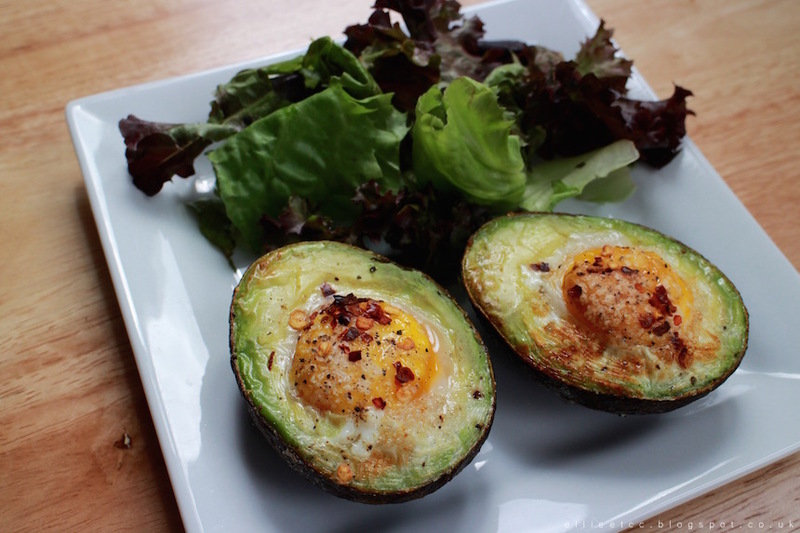 Avocado and egg is one of my favourite combinations, it sounds really weird and wrong but tastes soo good. I'm sure many of you will have seen photos knocking around Pinterest/Instagram/other blogs too. Scrambled the eggs and slice the avocado and you've got yourself another tasty meal too. Speaking of scrambled egg, one of my favourites by the way, I'm always trying to find things I can add to it to make it a tad more interesting. That along with the massive kale overload we managed to have in our house the other day (seriously, half the fridge was full of the stuff), I tried it out and it's such a tasty idea - plus healthy too! I love omelettes. They are yet another of the most simple but most tasty meals. If you add in new potatoes - left over from the night before if you're being really good - and chorizo - if you want to get middle class - it turns a simple omelette into a Spanish omelette. Yum yum yum. 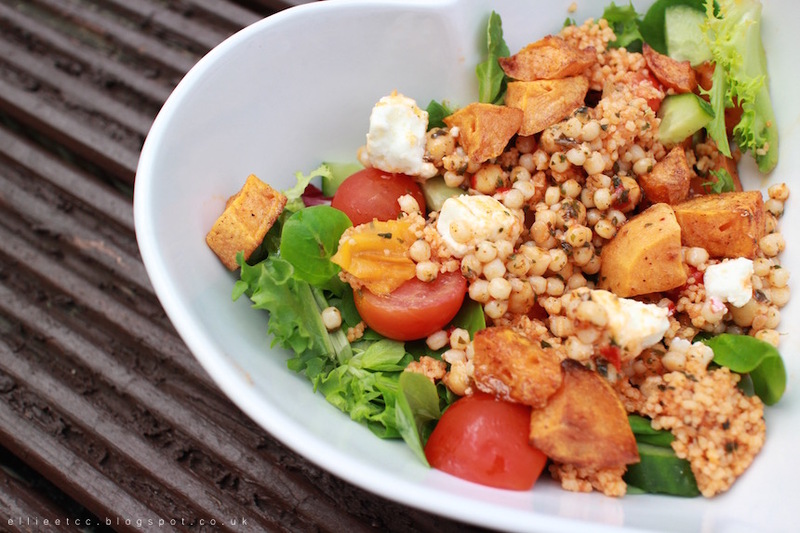 Salad is one of my favourite lunches, it fills you up surprisingly well and theres just so many options! For this particular beauty, I treated myself to some ready made cous-cous and feta salad from Co-Op (which tastes incredible) and added that on top. But to be honest it would be so easy to do a homemade version. First up, oats and yogurt mixed together tastes so good. If you've ever had bircher muslei it tastes a bit similar to that. Yum. The slightly burnt looking things are pancakes made solely from banana, egg, oats and baking powder. They taste like banana bread. 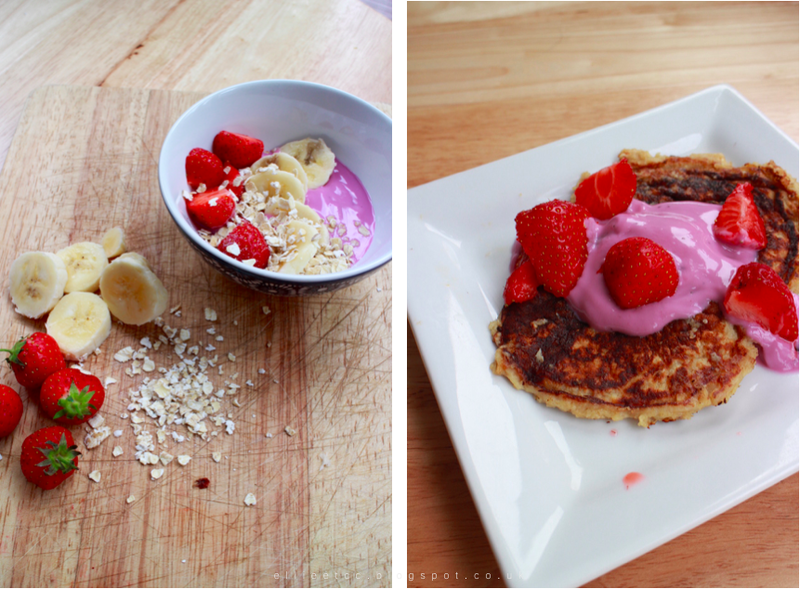 So good with yogurt and strawberries. 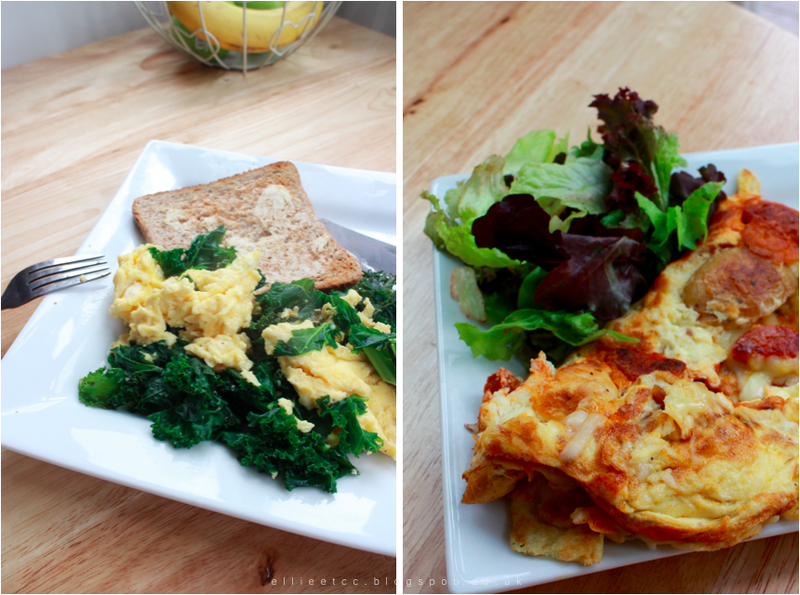 What are your favourite breakfast, brunch or lunch meals?